Founded by Laurence Graff in 1960 in London, Graff Diamonds is home to the world’s most fabulous jewelry pieces distinguished by the rarest gemstones of incredible beauty. 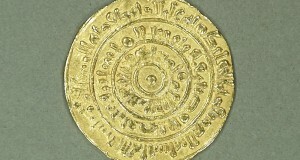 In fact, this company has no rivals in creating diamond jewelry, although sapphires, rubies, emeralds, and pearls can also be found in its collection. Moreover, Graff Diamonds is noted for many exceptional gems it has brought to life throughout its history, including the deep-blue Wittelsbach-Graff Diamond weighing 31.06 carats, the Graff Pink weighing 23.88 carats, and the Graff Constellation weighing impressive 102.79 carats. 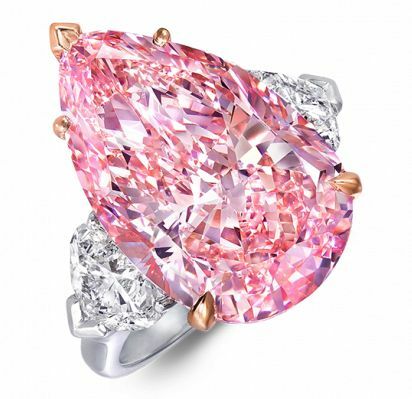 This extraordinary ring is distinguished by its Fancy Vivid Pink Internally Flawless diamond, which is one of the rarest pink pear-shaped diamonds in the world, weighing 12.02 carats. Besides, it is also decorated with two sophisticated yet delicate heart-shaped white diamonds that add maximum brilliance to the piece. 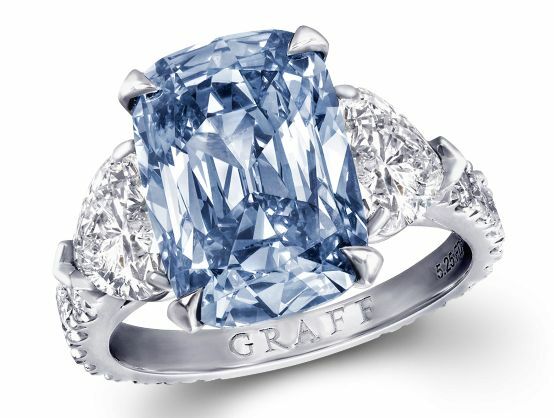 Known for creating one-of-a-kind jewelry inspired by history and myth, Graff Diamonds continues this tradition in the design of its most luxurious rings. This one is not an exception due to its amazing cushion-shaped Fancy Vivid Blue diamond weighing 5.25 carats, which is additionally complemented by beautiful heart-shaped diamond shoulders. 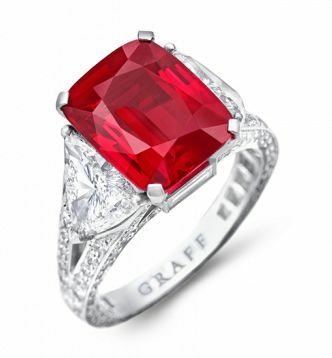 This eye-catching luxury ring by Graff Diamonds is decorated with the world’s most important and celebrated cushion-shaped Burmese ruby weighing 8.62 carats, which is set within the company’s iconic Promise Setting. Besides, the Graff Ruby also showcases white diamond shoulders and a full circle of pave diamonds set around the entire band. 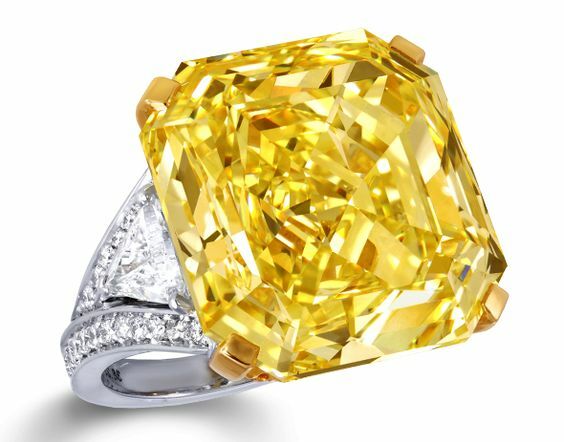 Such a perfect example of luxury jewelry clearly shows the Graff’s historical affiliation with rare yellow diamonds. Featuring a fantastic Fancy Intense Yellow VVS1 diamond weighing 36.23 carats, this stunning platinum ring is additionally complemented by a delicate diamond pave shank and beautiful trilliant-cut diamond shoulder stones. Adorned with a magnificent D Flawless heart-shaped white diamond weighing 50.38 carats, this emotive masterpiece created by Graff Diamonds is ideal in its form. 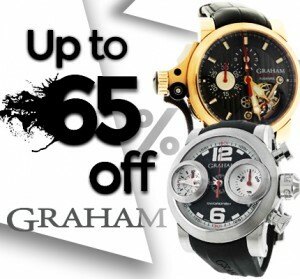 Moreover, it is designed with the minimal setting to underline the natural beauty of the stunning stone. 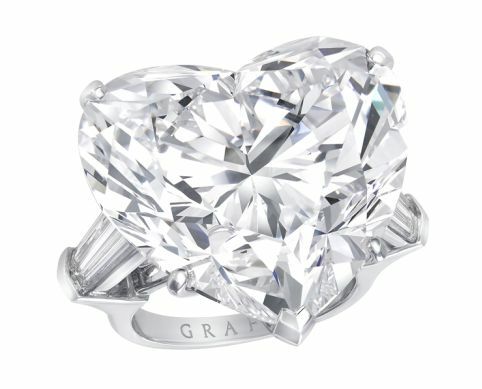 In general, Graff Diamonds has an impressive variety of unique luxury rings and other accessories, with premium quality gemstones of all possible cuts and shapes. 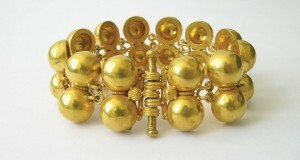 It is no wonder that this company is considered the best in jewelry innovation and design.